Yellowbelly's stuffed bear Plum is his best friend in the world. They do everything together. 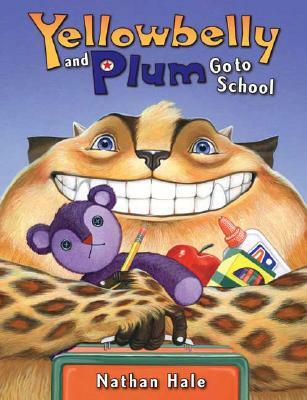 So when it's time to go off to school for the first time, Yellowbelly can't imagine not taking Plum along. At school they learn lots of fun new things, and they both make lots of new friends. When Plum disappears, Yellowbelly is upset at first. But Plum has been off learning games that the two friends never played before. And when the two are joyfully reunited, Yellowbelly teaches everyone their old games, while Plum can teach Yellowbelly his new ones. A fun, joyful story about school and friendship that introduces two lovable new characters.